Strike-hit Southern was rated the worst UK rail firm by customers once more as passengers had to endure months of cancellations and delays. The train operator, which runs trains from London to Surrey and Sussex, saw its customer satisfaction score more than halve to just 21 per cent, from 44 per cent last year, according to an annual survey by consumer group Which?. Almost half of passengers, some 46 per cent, said their journey was delayed, with the company scoring just one star for punctuality as well as reliability, seat availability, frequency and value for money. It comes as Southern, like most rail firms, hiked ticket prices at the start of the year by 1.8 per cent, with Britain continuing to be one of the most expensive countries in Europe for rail travel. 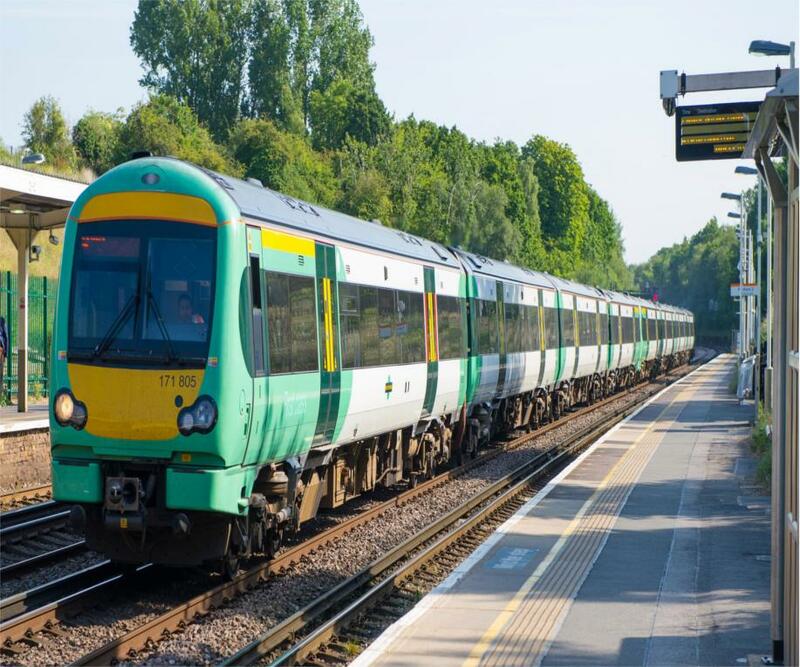 A Southern Rail passenger pays £4,536 for an annual season ticket between London and Brighton. Southern has also been gripped by strikes in recent months. Members of the drivers' union Aslef have staged three strikes last week and have three more planned for later this month as they are opposing the introduction of driver-only operated trains, which they say put passengers' safety at risk. They are also refusing to work over-time as part of the dispute, which is leading to services being cancelled or delayed every day. Yesterday Southern's owner Govia Thameslink Railway has announced plans to recruit a pool of 200 'trainee' drivers to help improve services. The survey of 2,000 commuters by Which? revealed that the operator received its highest rating - of only two stars - just for the availability and cleanliness of its toilets and general condition of the carriages. Vickie Sheriff, direct of campaigns at Which?, said: 'After months of disruption, it's no surprise to see Southern at the bottom of our customer satisfaction survey. 'Though Southern have performed particularly badly this year, the whole sector is continually failing passengers. Southeastern was the second worst train company with a customer satisfaction rating of 31 per cent. Its passengers were mostly discontent about seat availability, in which category the company scored just one star. It scored two stars in all the other categories. Thameslink and Great Northern, which are owned, like Southern, by GTR, emerged as the third worst UK train company with a customer satisfaction score of 32 per cent. The operators scored one star for frequency of its trains and condition of the carriages. At the top of the table, five-star ratings for reliability and frequency helped put Merseyrail into first place with a score of 72 per cent, followed by Virgin Trains West Coast 69 per cent, which passengers said was a reliable train company. East Midlands Trains scored 67 per cent in the customer satisfaction survey, with four-star rating for punctuality, reliability and frequency. Which? has launched a campaign calling for train companies to 'respect passenger rights' and urged the Government to 'swiftly bring forward reforms that put passengers first'. A GTR spokesman acknowledged their performance was 'unacceptable' and said they were 'working hard' to improve the service. GTR has received £300million of public funding for improvement works. The spokesman said: 'This survey inevitably reflects the significant impact of the wholly unjustified industrial action being taken by Aslef and the RMT. We have made comprehensive offers to resolve this. The GTR spokesman added that Southern and Thameslink services had also been hit by the ongoing additional knock-on delays from the London Bridge redevelopment, while Great Northern trains performance had worsened due to bad weather, signal failures in key locations and problems with ageing trains. RMT general secretary Mick Cash said the report showed that Southern were the 'absolute worst of a bad bunch when it comes to Britain's rotten, privatised railways'. 'The responsibility for the catastrophic mismanagement of this crucial rail operation lies fairly and squarely with the Government and their contractors GTR,' he added. Jacqueline Starr, managing director of customer experience at the Rail Delivery Group, representing train operators, insisted it is 'not true that the whole railway is failing passengers'.